What do Lavatubes Look Like? 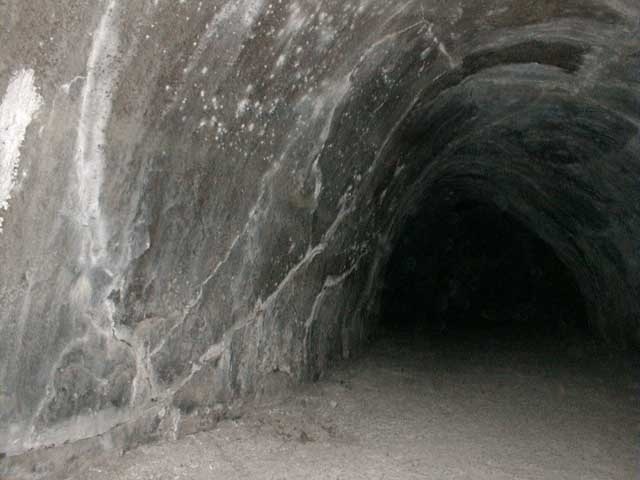 What do Lava Tubes Look Like? Cheryl and I went to Subway Cave and I've processed the pictures (arrrgh - dust motes on the lens!) and I'm including a selection with this note. Those of you ... interested in building an image of a lavatube base may find these particularly interesting. ... I took some of the pictures from "floor level." The others, taken standing, would be from a lunar scale height of 17.5 meters high (I'm roughly 1.75 meters tall). The "floor" pictures, actually about 6" from the floor, translate to a lunar scale height of 1.5 meters, about "standing" height. 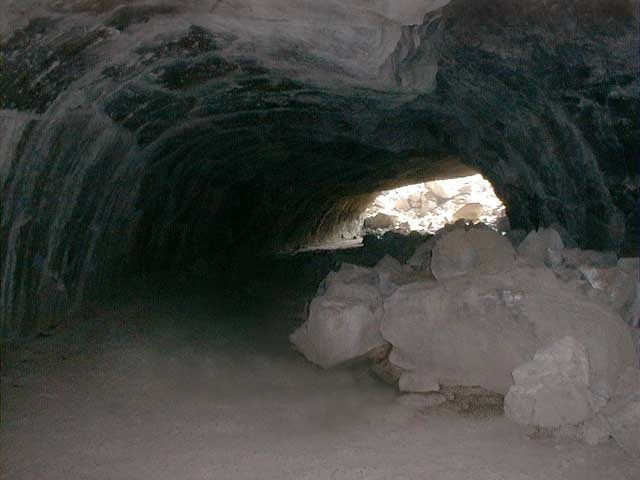 Subway Cave is the largest of several caves, including some "ice caves," in the Hat Creek Lava Flow just north of Mt. Lassen National Park. It's a few miles south of the Hat Creek Radio Astronomy Observatory, involved in the Search for Extraterrestrial Intelligence. 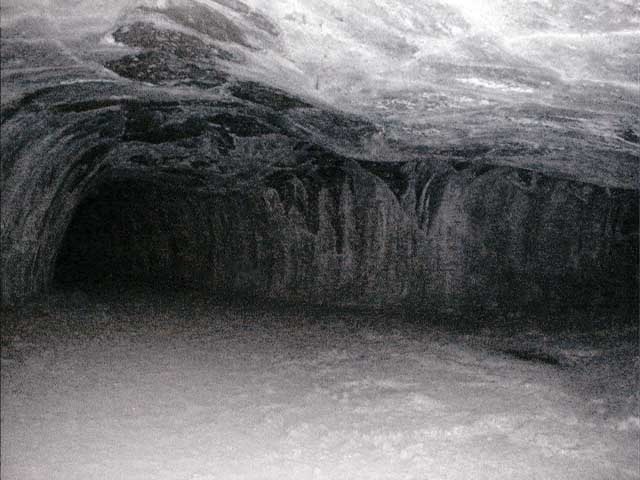 The Hat Creek flow erupted from fissures within five miles of Subway Cave that opened up 2000 years ago, roughly the same time as the Cave Basalt flow of Mt. St. Helens where we find Ape Cave (hm-m-m-m). 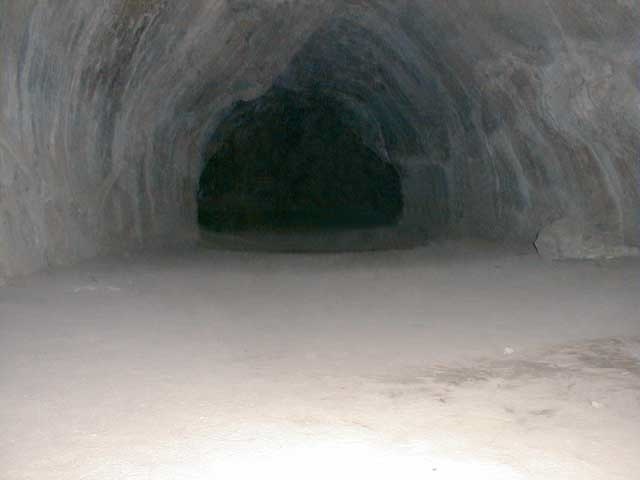 As you will see in the images, Subway is a "model cave" with flat, clear floors (mostly) and smooth-finished walls curving to an arched ceiling. It was dustier than I remembered, which may be due to its proximity to Mt. Lassen that erupted violently in 1914. Certainly the tan-colored dust exhibited the kind of behavior we're used to, easily becoming airborne and seeming to get all over my camera lens. Luckily I discovered this early on and reduced the damage by blowing the lens off before each photo. The rest of the damage (circular haloed bright discs - unfocused dust particles -- littering the image) I "repaired" in Photoshop, doing my best to remain true to the underlying image. It should be good enough for government work! The enclosed ... JPEG images are 640 x 480, 72 dpi. If anyone wants a larger image, say for a larger monitor or for higher-resolution needed for printing, the original images are 1280 x 960. Ask and I'll send you a copy. (One image was slightly skewed in the original. After rotation and cropping it's not exactly 640 x 480.) If you want a copy to use as a "desktop picture" on your monitor, send the pixel dimensions and I'll trim to an exact fit, if you wish. Also, I should be able to create the image in most common formats, please specify. A Photoshop native image is around 1.3 MB file size. For those of you who are interested, Cheryl is preparing a web page collection of photos from our trip to the Mt. Lassen area, including such colorful places as Boiling Springs Lake, Devil's Kitchen, and Bumpass Hell. We stayed at Drakesbad, the only resort within the boundaries of Lassen NP. When she gets it done I'll post a pointer. One of the enclosed pictures, "Subway06.jpg" (showing rockfall in a distant entrance), required a little extra processing to remove a couple of information signs. That was interesting! I wanted to remove clues to the real scale of the cave or signs tying it to Earth. The cave pictures were shot using only the built-in flash of our little Olympus camera. Considering the challenge, the camera did surprisingly well. Just for the record, I really don't expect to find lunar or Martian lavatubes in such good condition. I find value in these images in giving the "underlying structure" of the lavatube environment. And, there may be relatively small sections of a few lavatubes that do approach these conditions. Lavatubes on the Moon and Mars are expected to be quite similar in general characteristics, but larger in somewhat inverse proportion to their lower gravity levels. Sometimes, but not always. 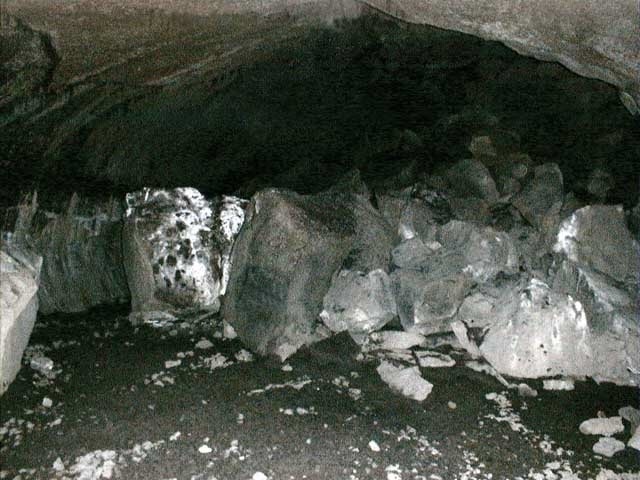 Many flat floors are caused by the flow subsiding somewhat after the tube formed, and the lava flow "froze" at a lower level than the initial flow. 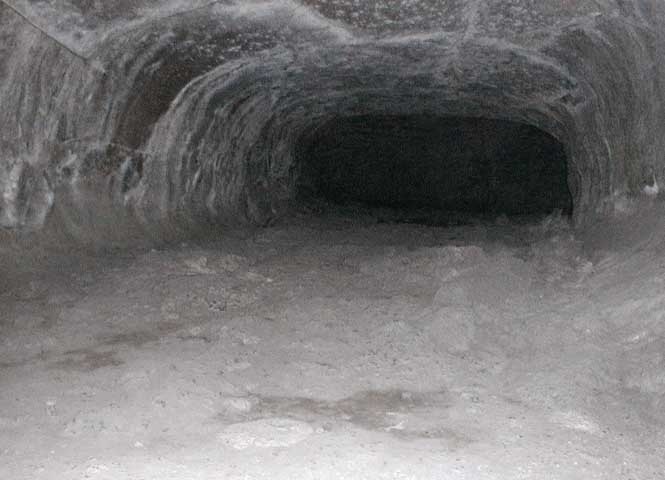 On Earth, the flat floors are often covered by surface dust, sometimes several feet thick, imported into the caves by rain runoff. 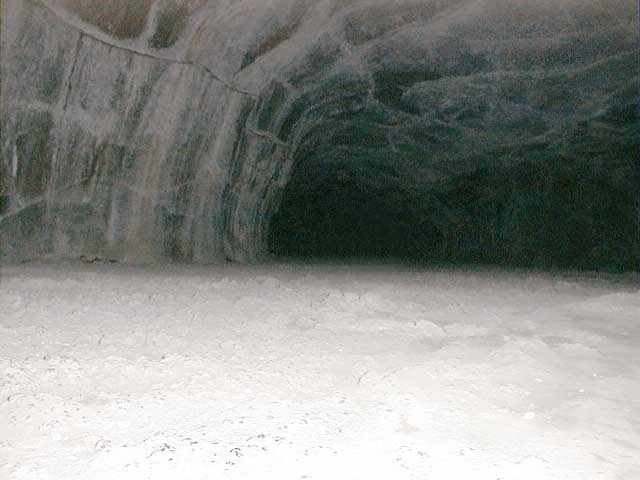 We can expect variable amounts of rock debris and rubble from "spallation", having fallen off of the tube sides and ceiling through seismic disturbance of weaker areas. The sixth picture in the series gives the idea. Ten meter cross-sections are common with lavatubes on Earth. Scale that up considerably for the Moon where tubes should range hundreds of meters across. On Mars, they will be somewhere in between in size, still quite appreciable. In both locations, lavatubes are expected to be of significant value as thermally insulated, radiation free, dust free "lee" environments for outposts, warehousing, industrial parks, archiving, agriculture, etc. On the Moon, the domain of lavatubes are the maria lava-flow sheets. On Mars, we will find them throughout the slopes of the major shield volcanoes: Olympus, Ascraeus, Pavonis, Arsia, etc. We tend to look at both the Moon and Mars as barren rock piles. Well, "behind door number one" is a big surprise - both the Moon and Mars have hidden sheltered valleys, comparative Shangrilas. And you have all heard the dictum that there are three things vitally important in real estate: location, location, location. Lavatubes are the "locational lever" by which we can move the Moon and Mars from the realm of alien hostile worlds into the realm of human space.